← What is the Mandela Effect and is it Real? I’m a couple days later this year than last in posting my favorite reads from last year. I’ve been contemplating the books I read in 2016 and there were just so many good books by some really fantastic authors. It was hard to pick three. Thank all of you wonderful indie authors out there for providing me with such a great year of reading. If I could have counted the ones I beta read or worked on editing I would have exceeded my Goodreads annual goal by several. But, I fell short just one book in my Goodreads Reading Challenge for 2016. I’ve decided not to set a goal this year. I’ll read what I read and be satisfied that I’m well entertained. So now let me get to the point of this post, my three top reads for the past year. I had a difficult time picking just one of Christoph Fischer’s books as I read his Three Nations Trilogy as well as the one I’ve picked. All his books are well written. The main character in Ludwika: A Polish Woman’s Struggle to Survive in Nazi Germany by Christoph Fischer is based on real woman, Ludwika Geirz. The author wrote this fictionalized account of her life during WWII based on the information available on the actual woman whose family is searching for descendants of her relatives over 80 years after WWII. His portrayal of the hardships and emotional devastation of war is exceptionally well done. I grieved with Ludwika, was fearful for her and her family and friends in times of danger, felt her confusion, and loneliness. 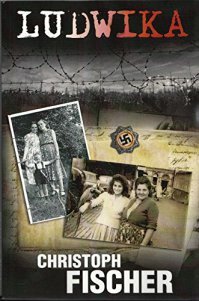 A well written historical fiction that incorporates historical events of WWII and the personal information available about the real Ludwika Geirz during this time in history. I truly enjoyed the book and for historical fiction lovers, WWII history buffs, and those who generally love good human interest stories then I highly recommend this book. Another book that has remained with me could be called Christian literature because the main character is a new Christian. This aspect of the book doesn’t overwhelm the plot though its impact on the character’s development is significant. The book isn’t preachy at all. The authors insight into how a new Christian reacts to the old life and the problems that arise and have to be overcome are realistic. 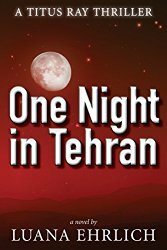 One Night In Tehran by Luana Ehrlich is the first of her Titus Ray series. Titus Ray is a CIA operative who had been working in Iran when his cover was blown and had sneak out of the country. I see that she has published the next two books in the series and after reading this one I was determined to get the next books because her story was intriguing, interesting, and well written as though the author may have some personal insight into the world of international spies. Highly recommend for those who enjoy spy novels and those who love a well written Christian Spy Thriller. Now to one the most surprising favorites which is actually two books in a series and could not be separated. 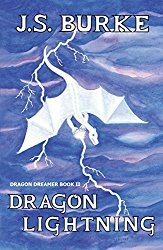 The Dragon Dreamer series by by J. 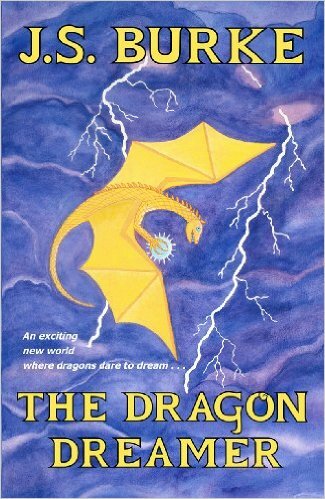 S Burke including Dragon Dreamer (Book 1) and Dragon Lightening (Book 2) is a great children’s fantasy series. Even as a grandma I truly enjoyed these books. The educational value and the quality of writing make me think that they should be in elementary school libraries and classrooms. Ms. Burke imparts solid moral and ethical values in a subtle and unoffensive manner that anyone regardless of their beliefs can embrace. The lessons on accepting diversity, different political systems and leadership styles, trade agreements and peace treaties, compassion, love, friendship, with a little science thrown in as well are all embedded in a fantastic fantasy with dragons and octopi. The lessons are at the elementary level but are presented in a way that only an adult realizes just how educational the stories really are. They give children an understandable foundation preparing them for more complex lessons in social studies, government, civics and sociology they will encounter in their higher education. 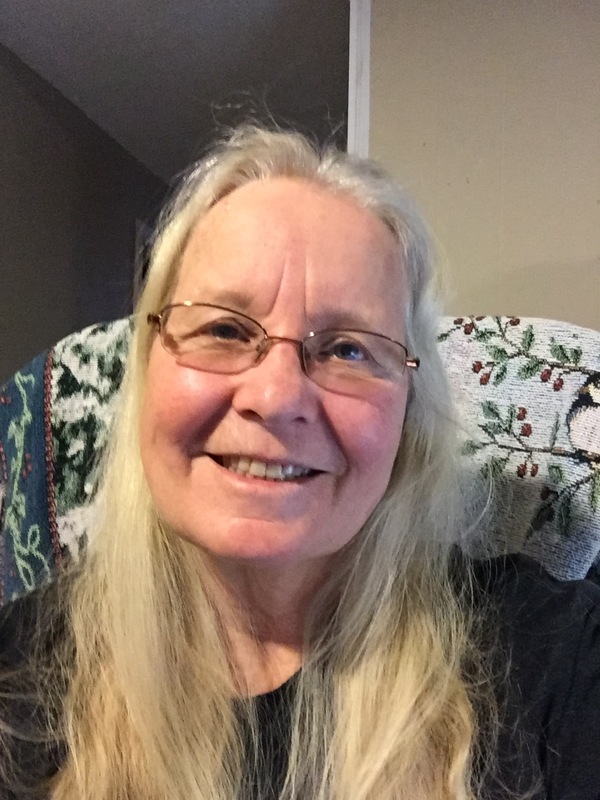 This entry was posted in Book Reviews, Indie Authors and tagged #IndieBooksBeSeen., Book review, Fantasy, indie authors, Ludwika by Christoph Fischer, One Night in Tehran a Titus Ray Thriller by Luana Ehrlich, reviewing books, supporting and Promoting self publishing Indie Authors, The Dragon Dreamer series by J. S. Burke. Bookmark the permalink.